Are you curious about how to set up an online course? The system that LiU has purchased will be demonstrated on 5 November. The Mathematics Unit at ITN and MAI is conducting a project commissioned by the Faculty of Science and Engineering. 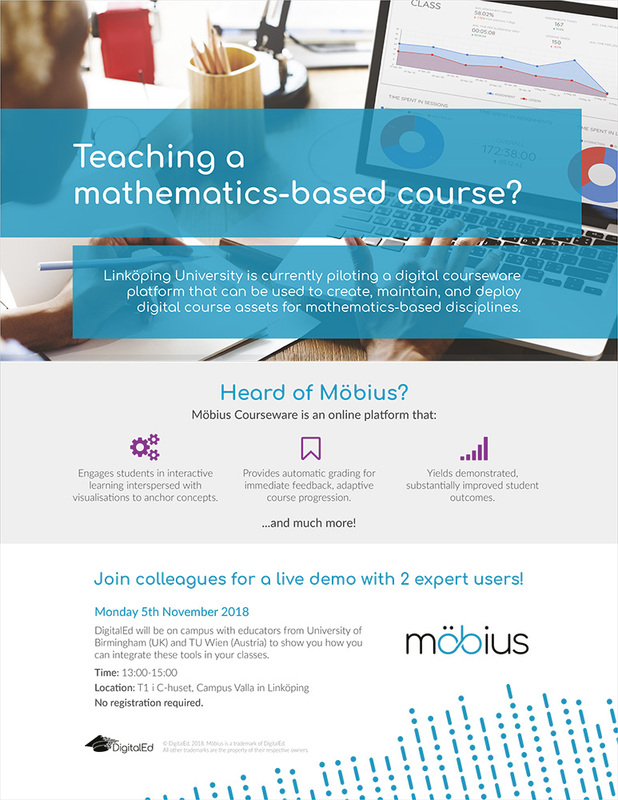 This is an online course platform for teaching in technology, the natural sciences and maths, which will initially be used for courses in maths. First to experience the system will be new students taking a summer course to ease the transition from maths at upper secondary level to maths at university. It is intended that courses in study programmes will subsequently use the system. Take the opportunity to see a demonstration of the system! Registration in advance is not necessary.